Chica Umino (, Umino Chika) is a manga-ka (comic artist/cartoonist) who was born in Tokyo, Japan. She began work as a product designer and illustrator. Her most notable work to date is her 'beloved' Honey and Clover, a 'slice of life' manga series which debuted in 2000 in Shueisha's manga magazine, CUTiEcomic. Umino has a unique drawing style, listing Studio Ghibli amongst her influences, and her characters are remarkably well-developed. It is very rare for a manga-ka to use his or her real name, and Chica Umino is a pen-name. In keeping with the trend for using something special to the individual in developing a pen-name, Umino's is styled after the name of an amusement park by the sea. Her work has become popular overseas (America), having already become very popular in Japan, with Honey and Clover winning the Kodansha Manga Award in 2003 and nominated for the Tezuka Culture Prize and an award from the Japan Media Arts Festival. The enduring popularity of the series has seen it adapted into an animated television series in 2005, a live-action movie in 2006 and two individual live-action television dramas in 2008. 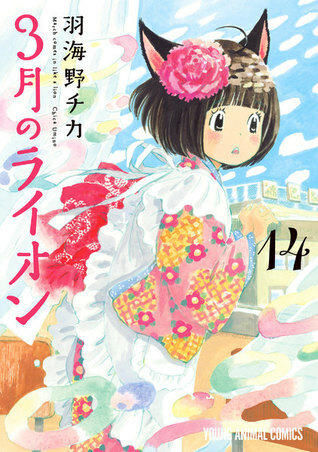 One of her most recent works is Sangatsu no Lion, or March Comes in Like a Lion, which began serialization in 2007, a manga about the game of shogi, which features Umino's distinctive art style. Umino has also provided the illustration for the 2009 anime series Eden of the East by Kenji Kamiyama, as well as 'Tobira o Akete' and the Glass Heart series, including 'Boukensha-tachi', 'Netsu no Shiro' and 'Love Way'.